These days technology rules our lives, so much that in North America, our lifestyles are very sedentary. Technology like television shows and computer games and the internet are very immersive experiences that can take up our entire day before we even realize it. It is harder and harder to convince people to live active and healthy lifestyles. Everyone’s abilities and physical stamina is different, but typically the human body greatly benefits from physical activity. It doesn’t have to be strenuous. Physical activity can be quite relaxing, even. Aquatic exercise is a great example of rather a sport that builds strength and stamina while relaxing you at the same time. When we think of exercise and sport, and we consider what we could do, it is rare that water sports would come to the fore of our thought. But once you think of it, you realize that aquatic activity could open an entire new world to you. the great thing about it is that there are so many options for aquatic activity. 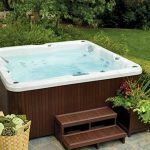 Maybe you prefer a spa or hot tub, one that enables you to relax on your own deck with some friends or a lover at any time of year. One that has jets and relaxes you while massaging sore muscles and loosening the rest of you. Or maybe you prefer swimming in a recreational pool, where you can do laps and test your own endurance for holding your breath, etc. Or, finally, you see a great market within the industry and want to pursue a career either designing pools, installing them or teaching people about pool and safety. There are many dangers associated with water activity including injury, drowning or exposure to chemicals. There are also physics to consider: this includes paying attention to the tow or flow or water. Thankfully, the National Swimming Pool Foundation (NSPF) is the national leader when it comes to setting and implementing standards for safety. Their all-encompassing approach includes providing events and conferences for industry professionals to learn about the latest scientific advancements. They provide online and in-person training for those in the industry and they take their knowledge and passion around the world to encourage others to get involved with aquatic activity. Indoor sports are great because they can be done year-round. It can be difficult to stay physically active throughout the winter months unless you’re of the rare breed who enjoys walking on a winter’s night. This is where aquatic activity comes in handy. Today we delve into the National Swimming Pool Foundation (or should we say dive?). We chose to research this group because we wanted to find like-minded organizations who strongly believe in, advocate for and work toward the improvement of public health. The NSPF impressed us right away as they are the nationally recognized authorities on all matters concerning aquatic activity, whether it be chemical safety, the aesthetic design of pools, or providing training and knowledge to encourage swimmers and industry professionals. This all-encompassing dedication to the lifestyle of aquatic activity and industry is quite respectable. The National Swimming Pool Foundation centres its research and advocacy around aquatic sport and recreation. That is, anything and everything to do with swimming pools. The main goal of the NSPF is to make a difference. They believe that everything they do helps people live happier and healthier lives by encouraging aquatic activity or making pools safer. The foundation was founded in 1965 as a non-profit in Colorado Springs, Colorado. To this day they continue to operate this way, donating proceeds to fund education programs and research that helps and creates swimmers. How do they do this exactly? Well, they offer books, online courses and training programs, ensuring they are all technically sound and beautifully designed, as well, of course, that they are convenient for people to access. 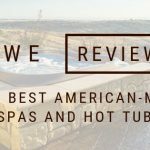 They operate in more than 100 countries, having trained more than 500 000 professionals through their Certified Pool & Spa Operator Certification Program. Their courses are so valuable because students will learn how to prevent injury, illness and accidents in aquatic settings. They offer online training courses such as Pool Operator Primer, Water Chemistry Basics and Advanced Service Technician. You can see from this variety how they would appeal to and be necessary for so many different branches of the aquatic sport and recreation world. Operating a company this big costs a lot of money so we wonder how they may acquire their funding. The NSPF receives over $4 million in grants allowing them to advocate and impact policies worldwide, as well as standards for aquatic practice. Always involved in the community, they are also responsible for hosting the World Aquatic Health Conference. This conference attracts professionals worldwide to help them learn the latest advances in the aquatic world. 2016: merged with GENESIS, who is responsible as the educational leader for those who design and build residential swimming pools, hot tubs and spas. Perhaps the most comprehensive way to examine this company and its contributions is to look at a full timeline from their inception to the modern day. It is quite amazing to look through the NSPF history and realize just how much they’ve contributed to public health over the years. 1963: a group of visionaries gets together and forms the National Swimming Pool Foundation. While practical experience is very valuable and important, these leaders saw a need for education in addition to it, in order to supplement and accentuate practical experience. As well, they recognize the need for research to answer questions about the actual technical sides of things and to also fill knowledge gaps for people. 1965: they were given Nonprofit Status. Their mission was to get the funds needed to research and educate others in the way of influencing the design, construction and operation of swimming pools. 1982: Fontaine Piper, Ph.D., created a school to train and certify individuals to become instructors. 1992: The standard increases: pool certification must be re-evaluated every 5 years. 2003: Thomas Lachocki, Ph.D., was appointed CEO, using his experience in chemistry, education and research to better the swimming pool and spa industry. 2004: New handbook is released in full colour; is updated regularly with field information and research-based findings. The World Aquatic Health Conference is established, now an annual event, which teaches people about scientific advances, issues, trends and opportunities. 2006: $4 million in research grants is reinvested: research focused on keeping pools safer through research on drownings, chemical exposure and injury; helping the industry thrive by researching how aquatic activity is good for a person’s health, proving that pools and spas are greatly beneficial for people. 2012: The 10-year program Step Into Swim is launched, the goal being to create one million more swimmers, the mission of NSPF is to reduce drownings, encourage people to live healthier lives by exercising in water and to increase interest in the aquatic industry. 2015: NSPF launches the Aquatic Health Benefits Bulletin. This publication is for industry influencers, to help them build demand for pools, spas and other water facilities by showing people how aquatic activity benefits their lives. 2017: Online and in-class training program called Advanced Service Technician. 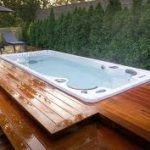 This certification would provide knowledge and skills for service professionals to care for residential pools and spas. This includes installation, maintenance and repair and company management. 2018: NSPF merged with the California Pool & Spa Association to form The Alliance. The Alliance deal with and provides education, innovative programs and legislation. As you can see, the National Swimming Pool Foundation has been active for nearly 60 years, and has continued to expand throughout the entire duration of the company. It is made up of good-hearted people who genuinely enjoy aquatic life and care about the wellbeing of the people. The NSPF is a non-profit that generates revenue for the production and distribution of knowledge and advocacy.